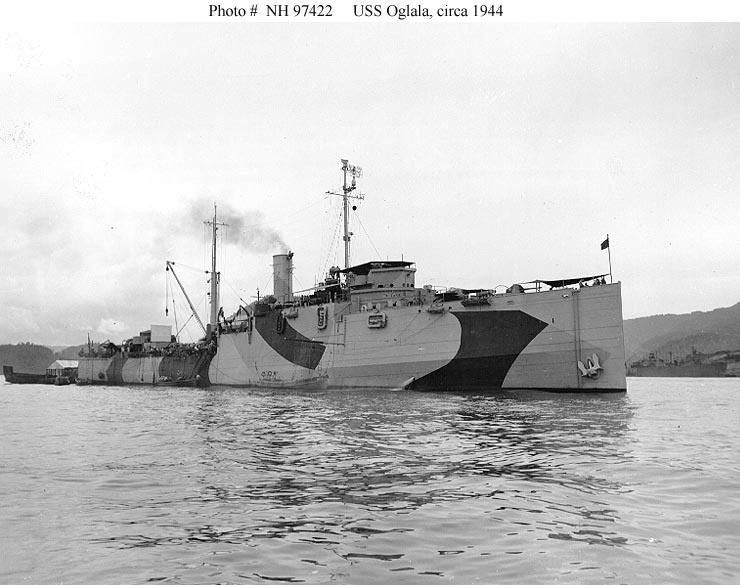 ↑USS Oglala (ARG-1). Photographed in the Southwestern Pacific area, circa 1944. She is painted in camouflage Measure 32, Design 6d. Official U.S. Navy Photograph, from the collections of the Naval Historical Center.